Military, police and fire and rescue workers need to be in top physical condition to perform their jobs well. A lack of physical conditioning can lead to an increased risk of injury, or worse. Not just for tactical athletes, but for those they serve. Which is why NSCA’s Essentials of Tactical Strength and Conditioning is a vital resource. It contains the latest scientific information to assist trainers working with tactical athletes to implement S&C programmes that are fit for duty. Editors Brent Alvar, Katie Sell and Patricia Deuster have extensive experience as scholars and practitioners in their respective fields. They have assembled a team of distinguished contributors who bring to light current trends in strength and conditioning. These include experts in academia, athletic training, firefighting, law enforcement, military, nutrition, physical therapy and strength and conditioning. The contributors provide key foundational knowledge of exercise physiology and biomechanical movement patterns. They also review components necessary for Tactical Strength and Conditioning Facilitators (TSAC-F) to design and implement successful programmes. Improve the flexibility, mobility, speed, agility, power and aerobic endurance of tactical athletes. Full-colour photos and detailed descriptions accompany each exercise, drill and technique. 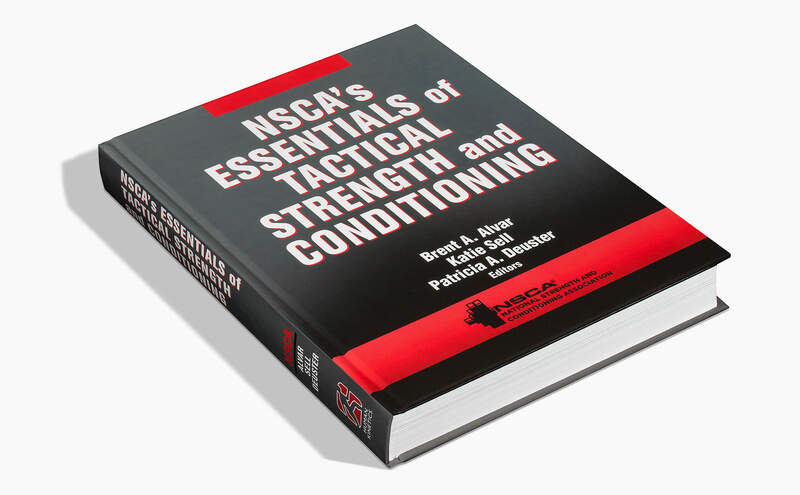 NSCA’s Essentials of Tactical Strength and Conditioning is available to buy now from humankinetics.com, priced at £66.99 / €80.40 (HK Rewards members £53.59 / €63.42). The National Strength and Conditioning Association (NSCA) is the world’s leading organisation in the field of sport conditioning. Drawing on the resources and expertise of the most recognised professionals in strength training and conditioning, sport science, performance research, education, and sports medicine, the NSCA is the world’s trusted source of knowledge and training guidelines for coaches, athletes, and tactical operators. The NSCA provides the crucial link between the lab and the field. Get great articles, tips and news, plus information on events, our latest products and exclusive offers. Subscribe to our newsletters below. Cancel at any time.